1. 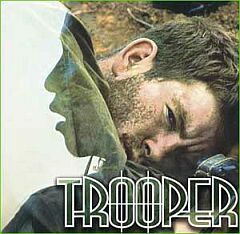 Trooper is a Canadian rock band created by Ramon McGuire and Brian Smith with over a dozen hit singles between 1975 and 1980. The Canadian Trooper put out their first album in 1975 with their first single "Baby Woncha Please Come Home". Also on that record was the hit single "General Hand Grenade" which stayed at #l on the Cashbox Canadian Chart for over a month. Smith and McGuire received nominations for Composer of the Year for "Baby Woncha Please Come Home" at the Juno awards that year. 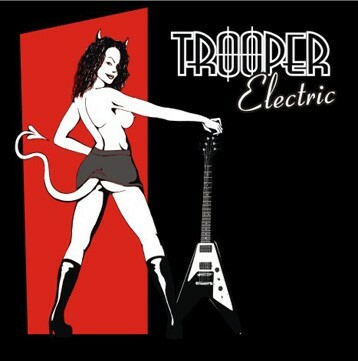 Other Trooper hits include "We're here for a Good Time", "Santa Maria", and "Raise a Little Hell". In March 1979, a greatest hits album titled HOT SHOTS was released, it went quadruple platinum selling over 400,000 copies. 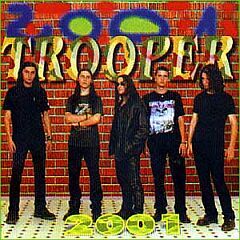 That same year Trooper won the Juno award for best group. 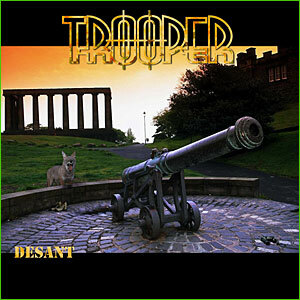 Trooper is still touring today, mostly in Canada. Trooper band members: Ra Macguire, Brian Smith, Gogo Scott Brown, Frankie Baker.